To me, Hatshepsut has always been a fascinating woman. She defied all convention and was able to install herself as King in the highly regimented and conservative society of Ancient Egypt. Hatshepsut, as the daughter of a Pharaoh, was groomed from birth to be royalty. But her fate was always to be a King’s wife (Egypt did not have queens), and never a ruler in her own right. With the death of her father and her two eldest brothers, Hatshepsut found herself married to her sickly younger brother (in Ancient Egypt, keeping things in the family was taken to horrifying extremes). When their union did not produce a male heir, it seemed as if her father’s dynasty might end after only two generations. Starting as regent to the new infant king (her nephew), Hatshepsut slowly consolidated power around herself, eventually declaring herself co-king, and taking the reins of the ancient world’s most prosperous kingdom. Early historical research painted Hatshepsut as a conniving, grasping, and devious woman. More recent (and balanced) studies of the Pharoah paint a different picture. Rather than a manipulative Lady Macbeth, Hatshepsut was an intelligent, educated woman who was born with every desired trait necessary to rule Egypt, except of course, the correct genitalia. Cooney paints a vivid account of palace life in Ancient Egypt, and does her best to bring this remarkable woman to life despite the (purposefully) sparse information about her. Cooney has done a remarkable job with this book, using data where she can and inference where she cannot. She is always careful to state what is conjecture and what is not, but at the same time presents the reader with the evidence for her statements. 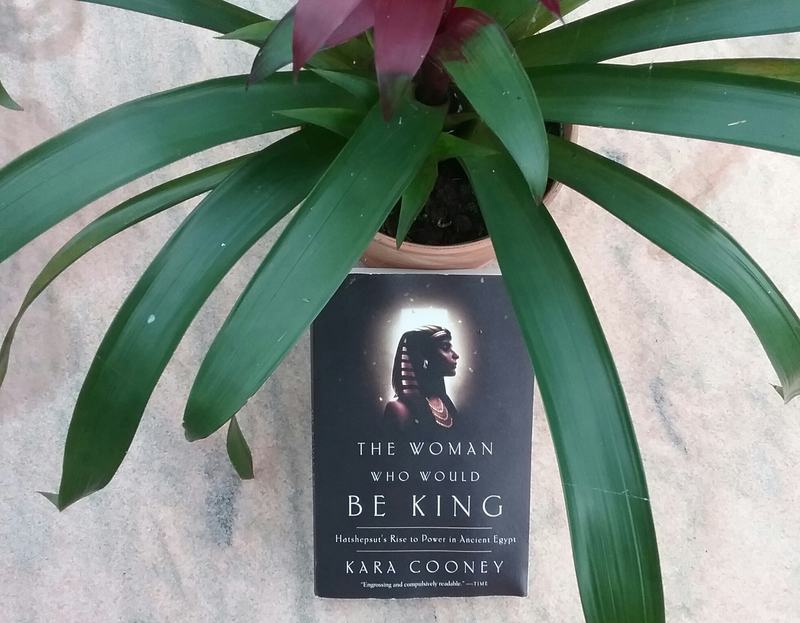 The Woman Who Would Be King is currently available for purchase.